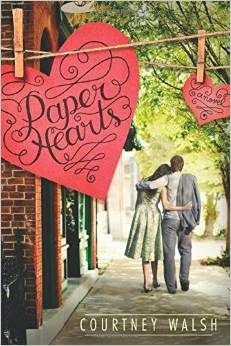 Abigail Pressman would never have guessed that love notes penned on paper hearts by an anonymous couple could restore her belief in love. As a business owner in a quaint town at the base of the Rockies, she’s poured everything into dreams of expansion... and resisting the matchmaking efforts of the Valentine Volunteers, who gather in her store to continue Loves Park’s tradition of stamping mail with the city’s romantic postmark. On the surface Paper Hearts appears to be a sweet romance, but the story is so much more. With remarkable writing skill Courtney creates a powerful tale of a young woman who discovers her strengths as she embraces the amazing power of forgiveness. From the main characters to the most minor one, the town is filled with quirky, likeable, folks with well-developed personalities. The Valentine Volunteers made me laugh and cringe as they championed Abigail's cause. And the doctor's story tugged at my heart and reminded me that each person has a story. This is a book I'll want to read again because I loved the town and the people so much. Five stars. I rarely miss church. But today after sleeping all day on Friday and Saturday, my body called again for rest on Sunday. Spring allergies have attacked and given me their gift of an ear, eye, and sinus infection. It started out as a minor irritation and worked it's way to a full blown aggravation. I missed work on Friday, free admission to the Nature Center on Saturday, and church on Sunday. I probably sound whiny because I am. But I just hate missing out on life. Yet I know God calls me to rest and too often I don't listen. My husband tries to remind me, yet I think I'm okay and I plow through. 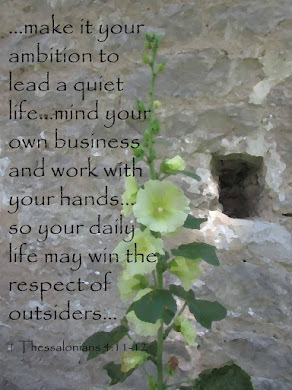 My advice to myself and anyone who might read this. Rest when your body gives the signs. Take care of yourself. And sleep as needed. It's not easy or convenient sometimes to just rest, but it's sure necessary. Here's hoping the allergies are done with me or will at least give me a pass for the rest of spring. Do you have allergies? What do you do to keep them at bay? When the centurion and those with him who were guarding Jesus saw the earthquake and all that had happened, they were terrified, and exclaimed, “Surely he was the Son of God!” Many women were there, watching from a distance. They had followed Jesus from Galilee to care for his needs. Each day of spring holds a different surprise. In March the daffodils wave in the breeze and the hyacinths send their sweet smell into the air. Then April bursts with yellow forsythia and bright tulip trees. On my way to work this week, I noticed the redbud trees in bloom. Their lovely pinkish-red buds contrast with the fresh green leaves of the maple and oaks. Up the street a weeping cherry's petals hang like a pink cloud. In the thicket the dogwood's white petals spread. God created beautiful blossoms for the season. 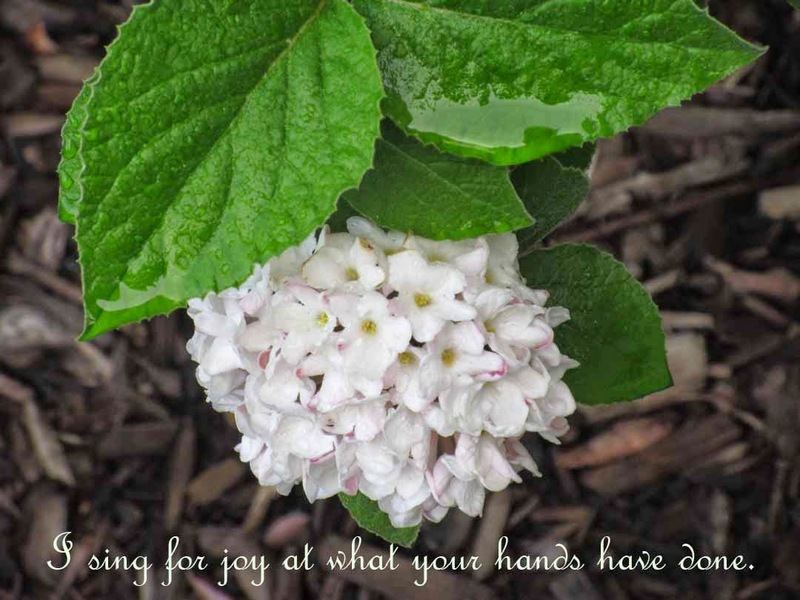 As I've enjoyed the colors of spring, I couldn't help but think of Jesus. As pretty as the redbuds are, the dark red color beneath the pink reminds me of the blood Jesus shed. The dogwood with the four leaves, two longer and two shorter, resemble a cross with indents said to look like scars. An old legend taught that the dogwood was meant to be a reminder of the crucifixion. And the weeping cherry made me think of Mary who cried for her son. Spring is a time of revival and renewal of life. Jesus gives life everlasting. Praise God for new life! I've read several of Janice Thompson's wedding themed books and enjoyed each one. Every Bride Needs a Groom is no exception. Katie Fisher and the small town she lives in are a breath of fresh air. Her family is a hoot. 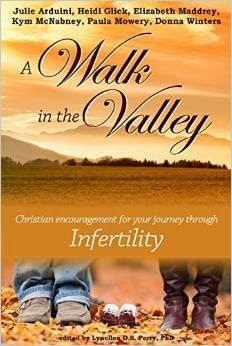 From her countrified brothers to her wayward aunt, they each add another layer of entertainment to the story. I think I smiled the entire time I read this delightful story. The fun didn't stay in small town, Fairfield, Texas. When Katie traveled to Dallas and met the crew at the high-end bridal shop, the comedy continued. The whole concept of a pro-basketball player working in a wedding shop is funny and almost believable. 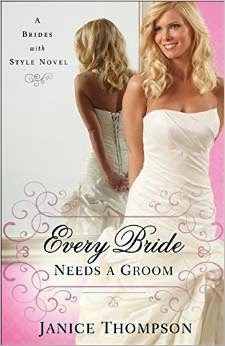 If you enjoy romantic comedy, pick up a copy of Every Bride Needs a Groom. It's a five-star read! Disclosure:I received a free copy of Every Bride Needs aGroom from Revell, a division of Baker Publishing Group, in exchange for my honest review. I'm excited to find flowers sprouting and blooming. God never disappoints. He's created some of the most interesting and beautiful plants. 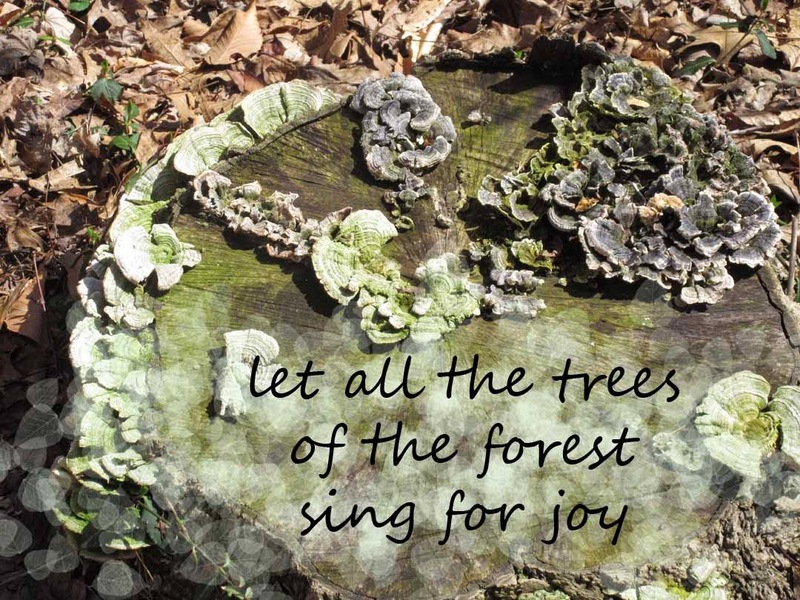 It'd been a long time since I wandered through the woods in spring. Discovering the trillium (above)was like finding a treasure. 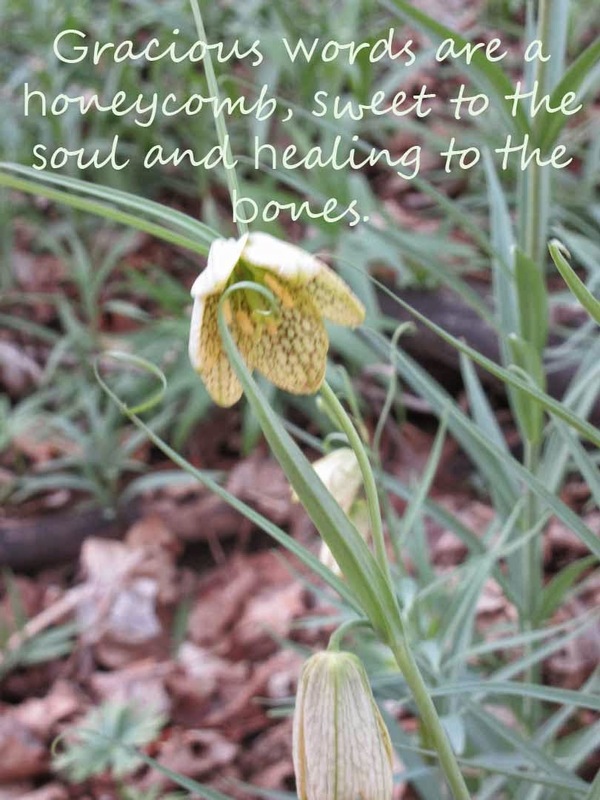 My husband and I spotted them the first week we hiked but they hadn't bloomed. This week they spread their color. As an added delight, I found a Jack-in-the-pulpit (below, right). Easy to miss because of their leaf-like appearance. Then we ran across the lovely, whimsical plant (two bottom pics) with cup-like blooms and curled tendrils. If anyone knows the name, please let me know. Enjoy the pics. I had fun taking them. The water rushed over the dam of the East Fork of the Little Miami River. As the turbulent torrent roared by, my husband remarked about the incredible power of water. We've seen heavy rain cause rivers to rise out of their embankment and create flooding so strong it carries houses and trees away. As we watched the water teem between the banks I was reminded of the amazing power of God. 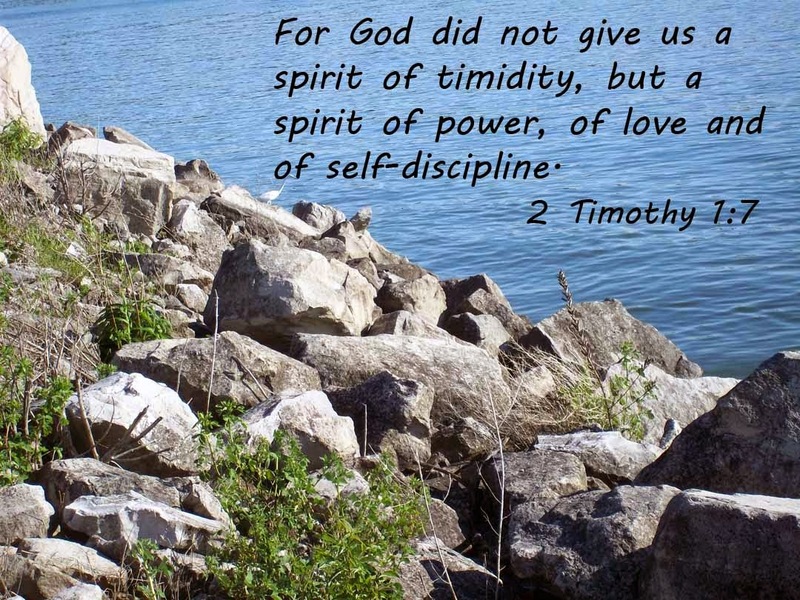 Much like the vigorous water that rushed over the dam, the power of the Holy Spirit flowed through believers in Rome. Instead of destruction, his power carried hope. God's power changes still lives. He can move mountains if we have faith. 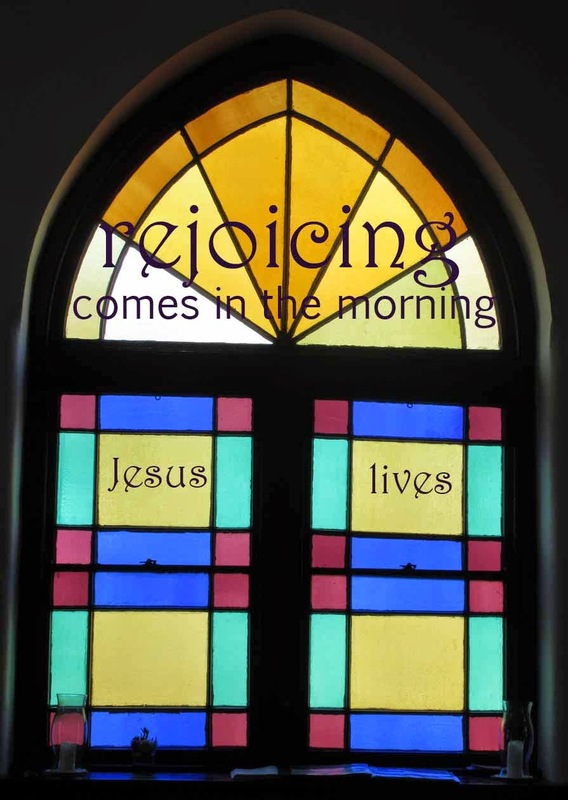 As his spirit moves through my life, I'm filled with his peace and joy. Praise God for his mighty power. What a beautiful poem from a talented poet. Do you have a favorite poem or poet? Who? Thunder crashed in the distance, dark skies repelled daylight, and rain pelted over the ground. Good Friday morning, I found myself thinking about the day Jesus died. As I drove in the downpour I wondered why God loved me so much. I'm not perfect like his son. I'm not even good all the time. Yet God sent his son as a sacrifice for my imperfections, my sin. Because he loves me. That blows me away. Sometimes I can't even comprehend the difference Jesus made in my life. He lived as a human, died at the hands of sinners, and came back to life because he wants to pour his grace over anyone who chooses to believe. 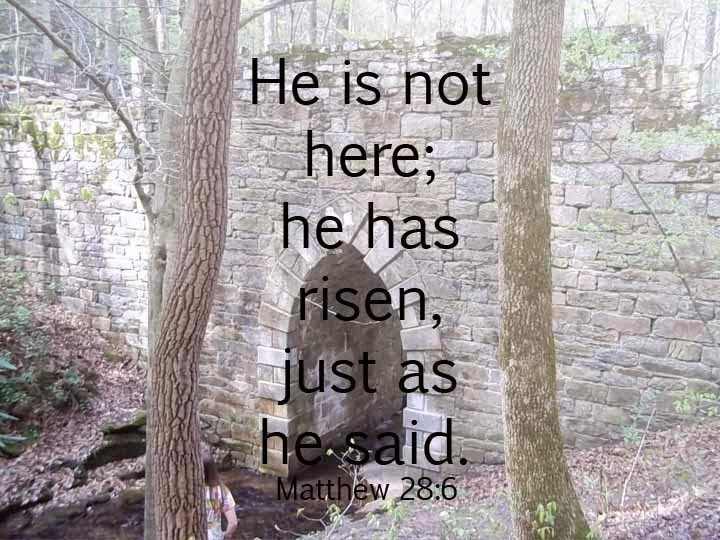 As Easter nears, I praise God for the resurrection of Jesus.